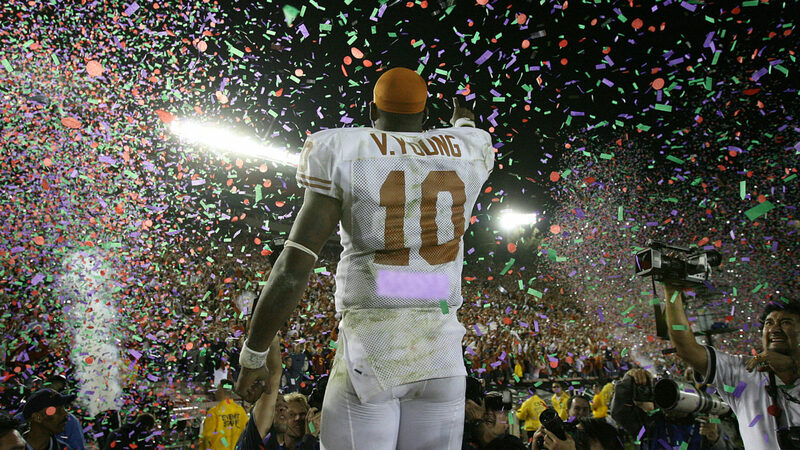 Deborah Cannon/AMERICAN-STATESMAN Vince Young celebrates after the National Championship game at the Rose Bowl in Pasadena, California on Wednesday January 4, 2006. The Blue-Chip Ratio is the most important statistic in College Football, as teams who win the National Championship have a Blue-Chip Ratio above 0.5, or 50%. The Blue-Chip Ratio is calculated by summing-up, over the past 4 recruiting cycles, all the 5-star and 4-star recruits (also known as Blue-Chip Recruits), then dividing that by the total number of recruits (which includes the 3-star and 2-star recruits). Teams who have a Blue-Chip Ratio below 50% are not likely to win the National Championship. Hence, this is why Blue-Bloods, such as Texas, focus on this statistic, as it is vital to their chances of winning the National Championship. The good news for Texas is that their Blue-Chip Ratio has been above 50% and has increased over the last 2 years. 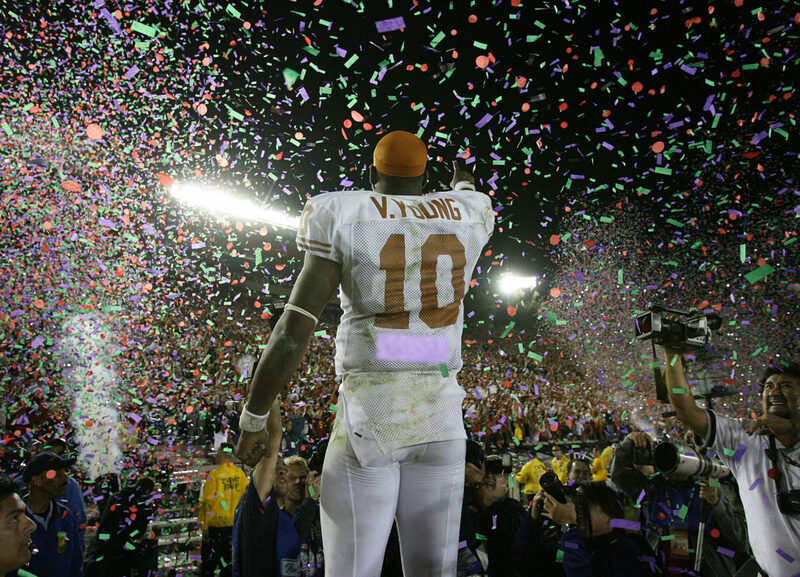 The only year Texas was off the list was in 2017, as Coach Mack Brown and Coach Charlie Strong did not recruit as well in the early to mid-2010’s. However, recruiting has significantly improved under Coach Tom Herman, who brought in the nation’s 3rd-ranked recruiting class in 2018 and repeated as the 3rd-ranked class in 2019. Texas is well on its way to contending for National Championships again, because its high Blue-Chip Ratio is the best indicator of Texas being back. Ok, cool, Hookem!